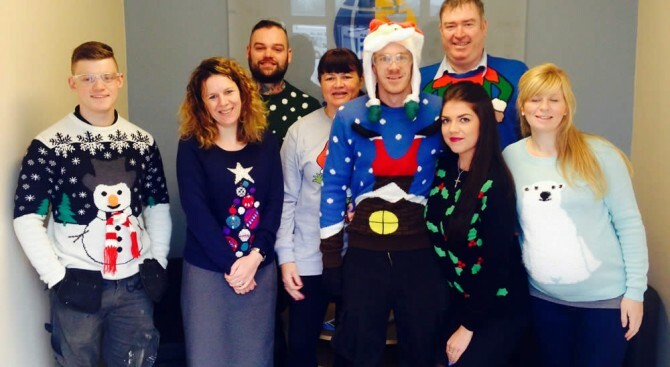 Last week, Stadium Export Services and the rest of the British Engines Group celebrated Christmas Jumper Day in aid of the Trussell Trust Food Bank. On Friday 18th December, employees from across the seven businesses within the group made a monetary donation and brought in items of food, as well as wearing their Christmas jumpers. Every day people in the UK go hungry for reasons ranging from redundancy to receiving an unexpected bill on a low income. Trussell Trust food banks provide a minimum of three days emergency food and support to people experiencing crisis in the UK. A total of £723.44 along with a van full of food donations was delivered to the Newcastle East Food Bank based in Elim House Church, Heaton Road to help hundreds of people in our community over the festive period.